A home which adds a new dimensions to luxury living. A home where all that you need is available in close vicinity making day to day living hassle free. A home that is an oasis of peace amidst a busy happening place. Sreevatsa Sri Lakshmi, the new projects of Sreevatsa Real Estate is coming up at Peelamedu, Coimbatore close to Codissia Trade Fair Complex and Airport. Peelamedu has fuelled the growth of Coimbatore over the years and is now a preferred residential destination. The area is Known for its educational facilities with many reputed schools like Suguna PIP School, PSG Public School and GRG School closeby. Several engineering, medical and arts colleges are in close vicinity. 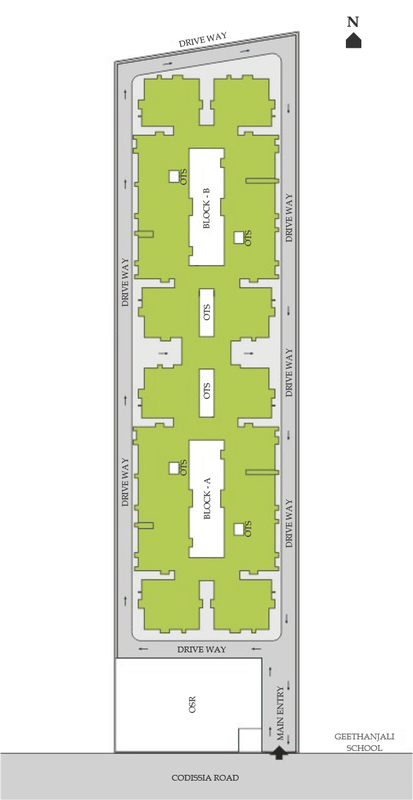 Recreation and shopping facilities include the nearby Jenney Club and Fun Republic Mall. Super Specialty hospitals like KMCH & Aravind Eye Care hospital form part of the neighborhood. 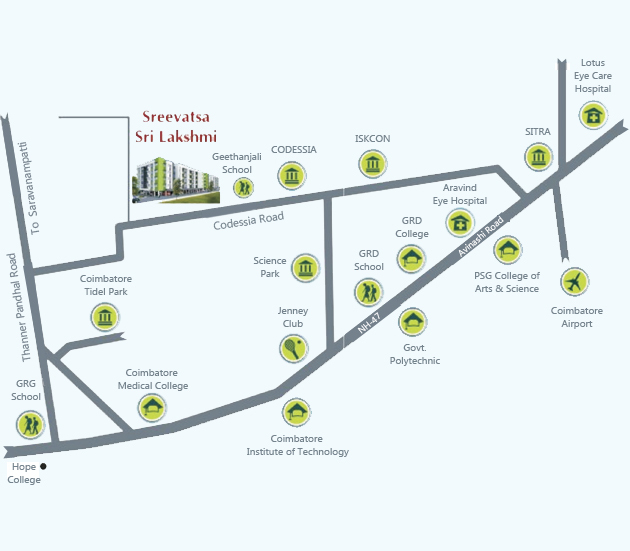 Sreevatsa Sri lakshmi is an ideal investment in utilitarian and Avant grade living. Every bit has been carefully planned to make living a pleasure for its residents. The homes will also have the assurance of Sreevatsa mark of quality. Buy yourself a home at Sreevatsa Sri Lakshmi. Extend a warm welcome to prosperity and happiness. Copyright © 2019 Sreevatsa Real Estates | Powered by AES Technologies Pvt Ltd.